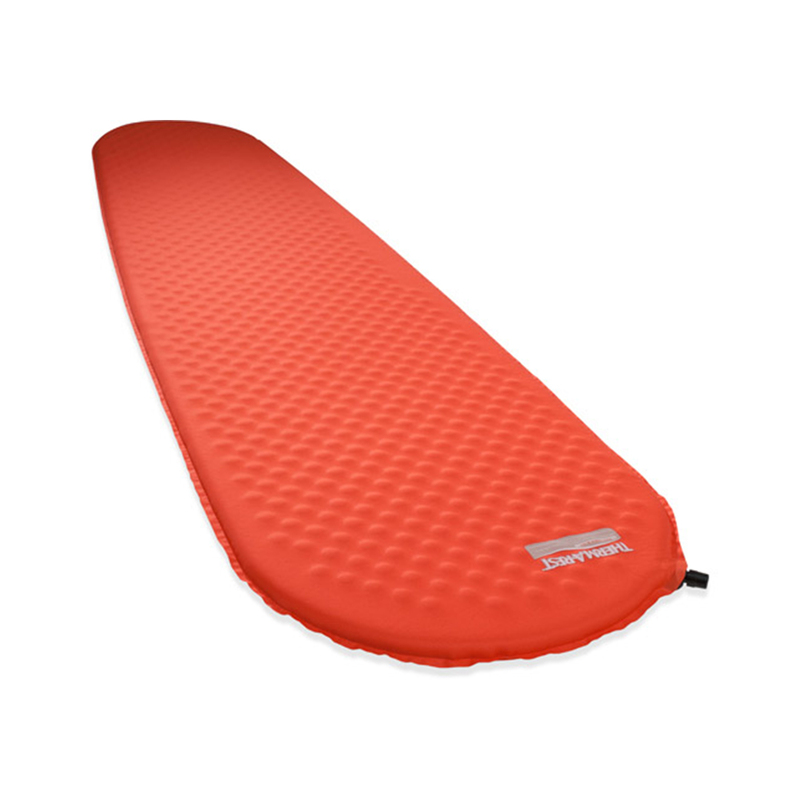 The Thermarest ProLite is the lightest and most compact three-season self-inflating mattress available. The ProLite packs down to the size of a small water bottle to easily fit into backpacks without adding too much weight. A highly durable 50D mini hex rip polyester protects the mat from rocks and other sharp objects whilst in the field. • Lightweight: The lightest self-inflating mattress available. • Efficient Warmth: Diagonal-cut channels in the foam reduce bulk and retain heat better than straight-cut foam. • Highly Packable: Ultralight, diagonal-cut foam and a tapered shape keep the ProLite mattress extremely pack friendly. • Self-Inflating: Expanding foam core self-inflates; top off with just a few breaths for personalised firmness.